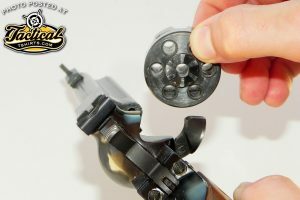 Ruger’s Single Six Convertible revolver comes with two interchangeable cylinders so you can shoot either .22 Long Rifle or .22 WMR cartridges in it. 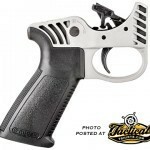 It’s also my single most favorite plinking revolver–specifically the “Super” variant because it has adjustable sights. Two swap cylinders, begin by removing the cylinder pin. With the cylinder pin removed, open the loading gate and lift the cylinder from the frame. The original Single Six Convertible was made from 1962 to 1972 and is found with 4 5/8, 5 1/2, 6 1/2 or 9 1/2-inch barrels. The 4 5/8 inch one is very rare, and the 9 1/2 inch one is just ungainly. 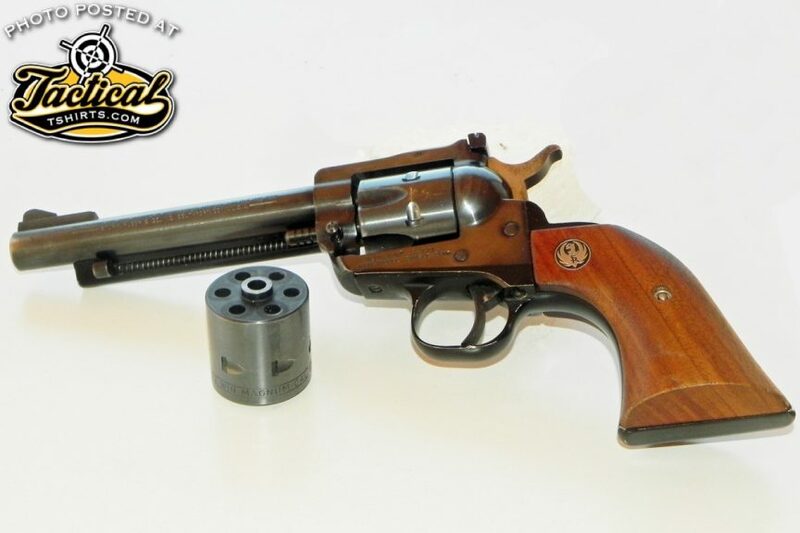 The Super Single Six was made from 1964 to 1972 and came only with either 5 1/2 or 6 1/2-inch barrels. Though they’re both “.22s” the .22 WMR (left) uses a conventional .224” jacketed bullet while the .22 Long Rifle (right) uses a .223” heeled bullet. 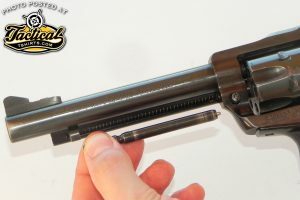 The canneluring on the assembled cartridge are created during the bullet seating and crimping steps. 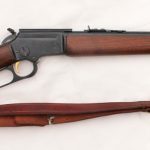 While you cannot fit .22 WMR cartridges in a .22 Long Rifle cylinder, you should take care to not fire .22 Long Rifle in a .22 WMR cylinder as they are different diameters and the .22 Long Rifle case will split. 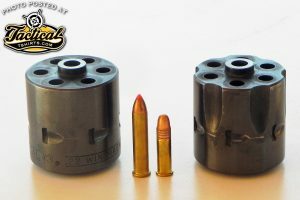 Some of you may know that the .22 Long Rifle and .22 WMR are actually two different bullet diameters even though they’re both .22s. 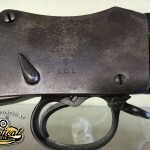 The .22 Long Rifle is a “heeled” bullet, meaning it has an undersize shank seated into the case and the exposed part of the bullet is the same diameter as the outside of the case–.223-inch. 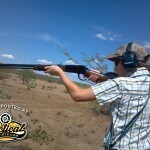 The .22 WMR, on the other hand, uses a conventional jacketed bullet that’s .224-inch. 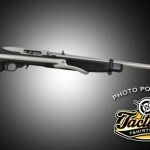 Ruger’s Single Six Convertible comes with two interchangeable cylinders so you can shoot either .22 Long Rifle or .22 WMR cartridges. 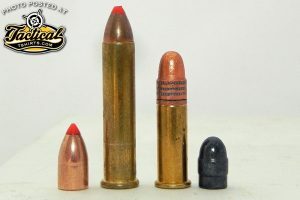 While it’s perfectly safe to fire the .22 Long Rifle’s smaller bullet down the larger .224-inch bore, the reverse is not necessarily true. 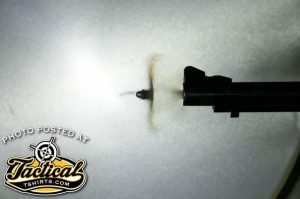 That being the case, and to prevent any possible in-factory mix up with undersize bores, all Ruger .22 revolvers have .224-inch bores regardless of whether they’re convertibles or not. 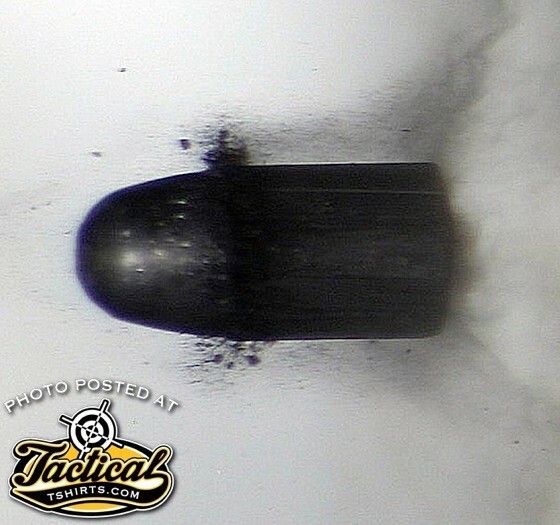 in-flight: As you can see in this high-speed photo, the heel of the soft .22 Long Rifle bullet is “bumped up” during the pressure of firing to fill the bore.